Sum good points here, love the ones where they talk or mention how criminals can do more now even cross state lines! Like drugs don’t!! Yeh it’s so sad it makes you LAUGH!!! More of the typical lib hysteria like blood running in the streets and our cities becoming like Dodge City etc. 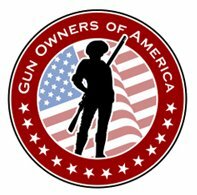 U.S.A. –-(Ammoland.com)- After watching the debate in The House Of Representatives on the Concealed Carry Reciprocity Act of 2017, I kept hearing the same talking points over and over again. What was interesting was a lot of the rhetoric was miss leading at best and flat-out lies at worse. I decided to compile a list of the most prominent lies told by the anti-gunners during the debate. Lie 1: Because of this bill criminals will be able to bring guns into states without reciprocity.